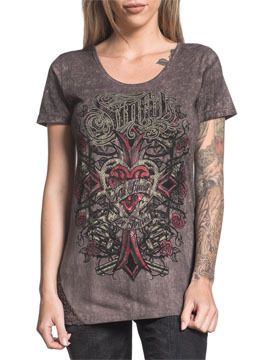 Sinful Calamity Jane womens short sleeve scoop neck t-shirt features Sinful logo, ornate cross, heart, guns, roses and filigree on the front. No graphics on back. Decorative lace panels sewn on each side. Criss criss straps on back. 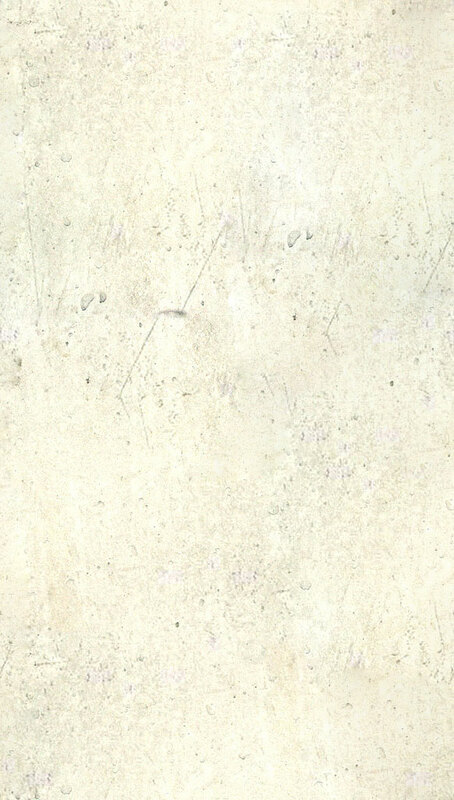 Storm wash creates a distressed vintage tie dye look. 100% cotton, light weight, slim fit. Garment dyed with silicon wash for soft feel. Color: peppercorn brown.